[Podcast] Episode 15 – All the Pixel XL talk! Great news everyone! The latest episode of the Silicon Theory podcast is uploading, and in it we talk about the latest smartphone offering from Google, the Pixel XL. We cover out first impressions and hands on time with the device, and discuss whether we feel like Google got it right or not on their first attempt. By way of disclaimer, there is some mature language used in the pod, so listener discretion is advised. But if you are interested in what this device might have to offer, you can now read our review or listen to the podcast – whatever your media consumption preference might be. Check it out, and make sure to subscribe to the podcast to get all of the latest episodes as they drop. Links will be added as soon as the pod is available…cheers! I’ve spent the last 7 days with the Pixel XL from Google, and used it as my daily driver for the last 3 of those. And I can honestly say its the best Android phone I’ve ever used (and I’ve used a LOT) – but the strange thing is – the Pixel does it by not standing out. The phone gets out of the way of the end user to such a degree that it feels like there is nothing standing between you and what you are trying to accomplish with the device. Where other devices try to impress with quality screens, amazing cameras, or cutting edge specs (and the Pixel has all of these) the Pixel goes beyond gimmicks and hardware features to a place where Android is showcased in the best possible way – a polished and smooth user experience that’s simply a joy to use. Fellow tech seekers, let’s talk about the Pixel XL. For it’s flagship device, Google didn’t skimp. They put the latest CPU (Snapdragon 821) and paired it with 4GB of RAM, and either 32 or 128GB of speedy UFS 2.0 internal storage. It’s the end of 2016, and Google tasked HTC with getting the best of what was available, and they did it. This also includes the display, which in the standard Pixel is an AMOLED display with a 1080p resolution, and in this Pixel XL jumps to a QHD AMOLED panel with 1440p resolution. Colors pop, blacks are jet black, and details are sharp. The included wallpaper picker app puts how good this display is front and center. It’s plenty bright indoors, but this falters a little outdoors in direct sunlight. I’m not an engineer, and I could post stats about how many nits of brightness the display gets, but instead I’ll say this – its a great looking display. If you prefer a display to have a more “true to life” look to it, you’ll want an LCD similar to the one found in the current generation iPhone. If you prefer the punchy vivid colors of an AMOLED display, the Pixel has got you covered. The fact that the Pixel starts at $649 for the 32GB model is a problem for some people. When you factor in that the extra storage is $100 more, the problem grows. These are iPhone/Galaxy phone prices, and Google hasn’t really shown that it can do that kind of phone just yet. But I think that the fact that Google is willing to finance the phone themselves and allow you to pick it up through Verizon or Best Buy in a similar fashion is a step in the right direction. If you are concerned about the price, try thinking of it in terms of basically $30/month instead, and its a bit more reasonable. Reports of the reasons behind why the Pixel and Pixel XL aren’t water resistant are surfacing, and rather than detract from the devices, to me, it adds more to them. If this is what Google did with HTC in only 9 months, its pretty damn impressive. And while it doesn’t necessarily excuse the lack of what is quickly becoming a “standard” feature, it makes it more understandable. This is probably also the reason behind why (beyond the window on the back) the design of the Pixel is fairly bland and very generic. Well, to be fair – its not generic in the way it looks very much like an iPhone from the front, but generic in the way that it doesn’t immediately distinguish itself as NOT being an iPhone. The Pixel is Google’s brand – it should and deserves to stand out in a way that nothing else does. I make fun of Sean P. for being a Samsung and Note fanboi (and he freely admits this is true) and so conversely, I’m not ashamed to admit that I’m a Google fanboi. This phone is in a lot of ways what I’ve been waiting for, for a while. The size of the XL is just right – not too big, not too small, and feels well built and solid but also light enough to comfortably hold for long periods of time. The Nexus 6P is a great phone, and also represents the best that Android had to offer for its time, and the Pixel XL is just better. Its a little smaller, but still has a size that makes it a great choice for a portable multimedia device. Android 7.1 is showcased to full effect on the Pixel XL hardware. Touches are registered quickly, scrolling is smooth and snappy, and you get to everything quickly. Folders open quickly, apps launch quickly, and the app shortcuts built into the newest version of Android ensure that you’ll get the most productive use out of your new Pixel phone. Plus you’re guaranteed to get at least 2 years worth of software updates direct from Google and another year of security patches after that. Battery life has been quite good on the Pixel XL. Most folks use “screen on time” as a measure of how efficiently a phone is using its battery, as well as the total amount that a device can be off a charger in mixed use. With my Nexus 6P I was typically getting a full day of use (around 16-18 hours off the charger) and getting about 2-2.5 hours of screen on time (SOT) from it. While that’s pretty good, the Pixel XL absolutely smashes it, without breaking a sweat. I’m consistently hitting the 2.5 hours SOT mark after a day…with about 40-50% of the battery life left. Extrapolating that, you should be able to use the XL for a full day and achieve somewhere between 4-5 hours of SOT. For my money, that’s excellent. My day typically consists of about 2 hours of streamed podcasts, about 45 minutes to an hour of streamed video, and the usual texts/email/Twitter/Instagram/Facebook reviews throughout the day. I’m comfortable in saying that the Pixel XL should get you through a full day easily if you have similar use and are on a mix of LTE and WiFi at some point. The camera – what else can be said that hasn’t already? Like highest rated rated smartphone camera ever reviewed by notable site DXOMark? Check. It can match or beat the iPhone 7 and Galaxy S7 cameras in most areas? Also check. Its a well thought out and executed camera experience? Yup. If you are looking for something that will start fast, focus fast and take great pictures fast, this is the mobile camera in a smartphone for you. For those with families (especially those with small children, like me) having a camera that takes great quality photos quickly is a huge plus. Side note: being a Pixel owner means you’ll have all your photos backed up to Google Photos for free, in an unlimited quantity and in the original resolution. This is a HUGE selling point, and one that can’t be overlooked when considering whether or not to purchase one of these devices. See the below for a few sample shots, and check out our Instagram feed (@silicontheory) for some more pictures taken with the Pixel XL’s camera. You’re gonna like them. I’ve said a lot of things that I like or love about the Pixel XL device. It’s not a perfect phone…it doesn’t have front facing (or stereo) speakers, and the bottom firing speaker while adequate in volume does come off a little tinny. Audio output from the headphone jack seems to be good though, and for those of you with wired headsets, you should enjoy that. I don’t have the smaller Pixel phone to test in terms of battery life or display, but the review of the device over at Droid-Life here should satisfy some of those curious about it. Greetings all – the 2nd part of our discussion surrounding the rise and fall of the Samsung sees me getting Sean P’s take a a former owner of this device, and what lies ahead for Samsung. Will the Galaxy S8 and S8 Edge be able to be released on time? Will Samsung ever recover from the blow to their reputation and brand? Tune in as we discuss this and even more! If you like the show, make sure to subscribe (and leave a review if you’re feeling so inclined) – cheers and enjoy! So if you are in the market for a new large display smartphone, the V20 might need to be on your list (along with a few others) – but we’ll be sure to have some impressions of the device once its actually in stores. The Pixel XL feels nice in the hand. The glass window on the back does take a little bit of getting used to though. The size of the phone does not seem to match the size of the display (at 5.5″) – it just feels smaller than it should be. While its solidly built, it feels very light in the hand – but no bending, creaking, or flexing on the XL – its well made and it shows. Depending on where you are, you might get a faster version of LTE (only available in some markets) – unclear if Southern California is one of these, but I’ve seen noticeably faster download times for installing new apps. Installation is fast as well. The fingerprint scanner (Pixel Imprint) is fast, and sets up quickly – the ability to swipe up and down on it to effect the notification shade is a nice touch as well. Swiping on the display is a pleasure. The glass is responsive, and light and smooth to the touch. Input is registered quickly and accurately as well. Early battery results are encouraging. Using the stock charge of 75% I’ve taken it down to 20% on LTE mostly, with about 2.5 hours of screen on time. And over 30 hours since the initial boot and stock charge were fired up. I’d say that falls in the “very good” category. Shooter loads quickly, and is ready to go insanely fast. Almost before you are ready to take the picture – both launching from the app shortcut and from a double press of the power button. The few low light pics I’ve taken so far (both with and without flash) were good but more testing to come in the next few days. So far, so good for the Pixel XL. I’ve got a few sample photos up already on our Instagram and Twitter – we are @silicontheory for both of those – go check them out, and will be posting more in the days to come. Stay tuned for our full review soon! And so far, I think its safe to say that things are looking up for Google. Like they needed any help? But still, the high price point and “internet hates” that the Pixel and Pixel XL seemed to be getting hasn’t stopped it from selling out on the Google Play Store. And if that isn’t enough to convince you, then well….I don’t know what would be (or why you’d even be reading this website article in the first place) – So there you have it! We’ll have a review of the Pixel XL ourselves up in the next week or so as the review unit comes in and we get a chance to test things like battery life, camera quality, and overall look and feel as well. Keep an eye out for that coming soon! The newest episode of the Silicon Theory podcast is now available! In the first part of this 2 part pod, I do a solo podcast to discuss the timeline behind what happened with the Note 7 fiasco, and what the impact to Samsung might be from both a reputation and a financial standpoint. In part 2, Sean P and I will discuss what his impressions were owning the Note 7 (for a very short period of time) and how he feels Samsung handled the whole situation from an owners perspective. As always, you can find us on iTunes, Google Play Music, and SoundCloud. Subscribe and you’ll get all the new episodes. Thanks for listening! 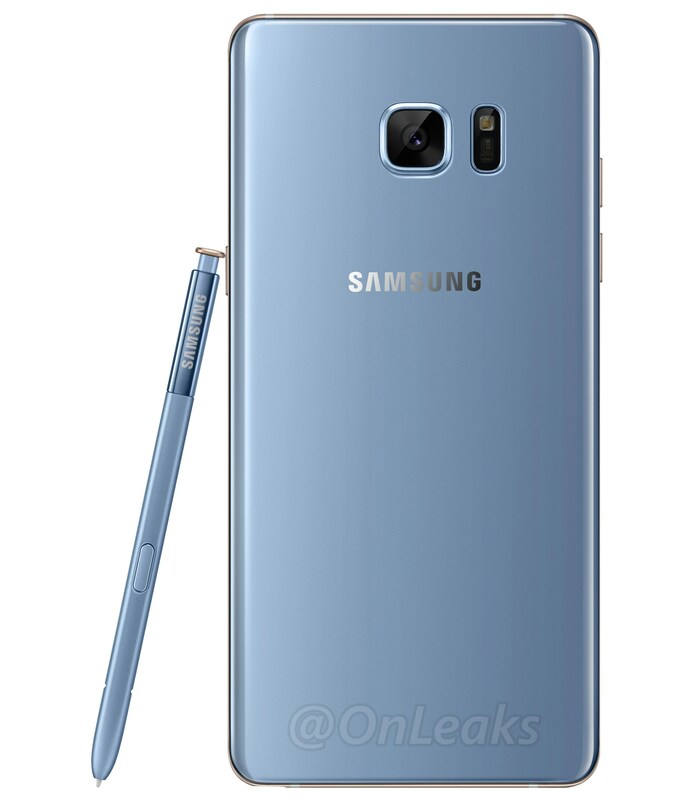 [Guide] So you can’t get the Note 7 – now what? So we’ve received a few questions about the Note 7 and for those who were looking to upgrade, its now off the table (sorry Samsung) – but the question becomes, okay – now what do you buy? We’re glad you asked! Without further ado, here are some thoughts on what you might want to consider if you are wanting or needing to pick up a new smartphone this year. Why choose the Galaxy S7 Edge? Yeah, I know what you’re thinking – Samsung just basically quit on the Note 7 because well…it was catching fire and stuff. I get that. But the Galaxy series (in both the S7 and the S7 Edge) have been out for a while now, and there’s no shenanigans going on with them. We have a S7 in the house and its a great, great phone. The S7 Edge is probably going to be the way you want to go if you 1) want a great display (at 5.5″ instead of the Note’s 5.7″), a great camera, SD card storage as an option, and IP68 water resistance. The S7 Edge ticks all these boxes, and then some. Why *not* choose the Galaxy S7 Edge? If you just don’t trust Samsung anymore AT ALL, I get it. I’d say that’s a bit silly, but you’re entitled to your opinion. If you aren’t in love with the dual curved displays, that’s another reason. It does make the phone a little slippery in hand to hold, so if you go that route, be sure to get a good case. If you want to ensure you get timely updates on Android directly from Google, you might want to avoid the S7 Edge as well, as Samsung hasn’t had a great track record with this either (but I hear that Android Nougat 7.0 should be coming soon) – that’s pretty much all that’s not to like here. Why choose the Google Pixel XL? Google is getting into the hardware game with their own branded mobile device. In the Pixel and Pixel XL, people are being told this phone will represent the best that Google and Android have to offer with a great hardware and software experience. 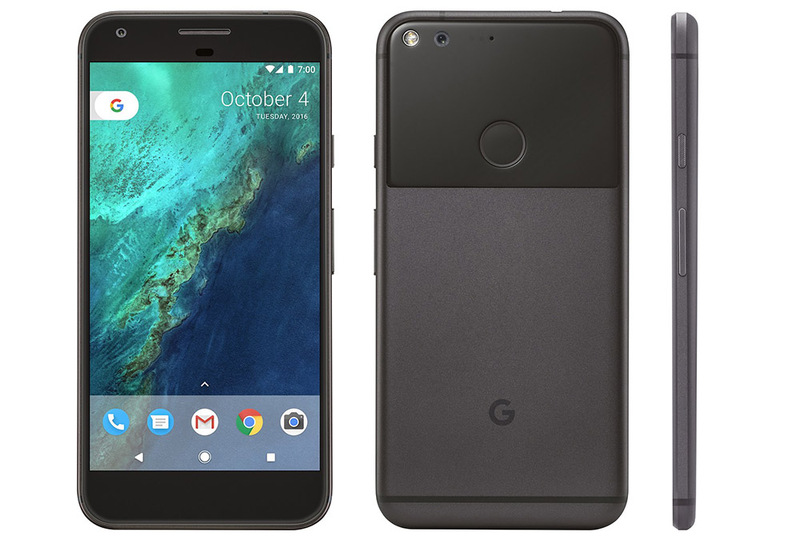 The Pixel XL will be the way to go if you 1), want a solid display (a 5.5″ QHD AMOLED display – rumored to have come from Samsung current generation displays), 2) a highly touted mobile camera, and 3) a clean, fast, stock Android experience including new features like Google Assistant and free unlimited native resolution storage of all your photos – forever. The Pixel XL is available for pre-order but won’t be released til the end of October. Why *not* choose the Google Pixel XL? The Pixel XL isn’t available yet, as noted above. So if you need a phone NOW, you won’t be going the Pixel route. 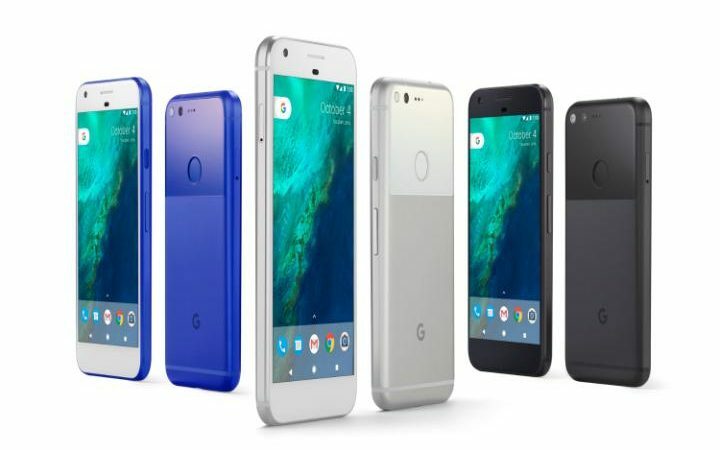 If you can wait, you still might be put off by the high price tag (the XL 32GB starts at $769) and the lack of things like water resistance or SD card external storage (neither of which the Pixel has, but you could purchase a 128GB base storage model if you chose, for a whopping $869) The Pixel is also mostly an unknown commodity, so if you aren’t keen about being an early adopter, then you should probably hold off on the Pixel XL as well. Why choose the LG V20? LG’s latest big boy flagship is going to be out there soon, in stark contrast to the earlier released LG G5 which was not met with a ton of enthusiasm. However, the V20 has got a lot going for it. You might consider the V20 if you want 1) the same size display as the Note 7 (the V20 sports a 5.7″ QHD LCD display, 2) SD card storage, 3) are REALLY into audio (as the V20 has an internal DAC and amplifier), and 4) want or need a removable battery. The V20 has an all metal chassis and also sports a dual camera setup on the back for regular and wide angle shots. Why *not* choose the LG V20? Like the Pixel XL, the V20 won’t be available until the end of October in most places, so if you need a new phone NOW, scratch the V20 off your list. Its also rumored to weight in at the healthy $800ish price point, so you might avoid it if you can’t take the sticker shock. It’s not going to have a better display than either the S7 Edge or Pixel XL, but it does have a secondary display like a ticker across the top which has some nice functionality. But its still an LCD display, so that means its not likely to have colors that pop or deep blacks in its color gamut. Its big – bigger than both the Edge and XL, so if you want something a little more….svelte? Try one of the others. There you go – some options for those saddened by the demise of the Note 7 and looking for other options this year. If you’re interested in another device we didn’t mention (the iPhone 7 Plus) well, that’s because we assumed above you were using a Note Android device, and the iPhone doesn’t run Android (obviously) – but if you want our thoughts on that phone as well, hit us up at silicontheory@gmail.com and we’ll give you some feedback. Cheers, and hope that helps! Sorry for the cheesy graphics above but…yeah, the Note 7 will no longer be sold by any carriers worldwide, and Samsung has ceased manufacturing them – permanently. This is a significant financial blow to Samsung as a company for sure. 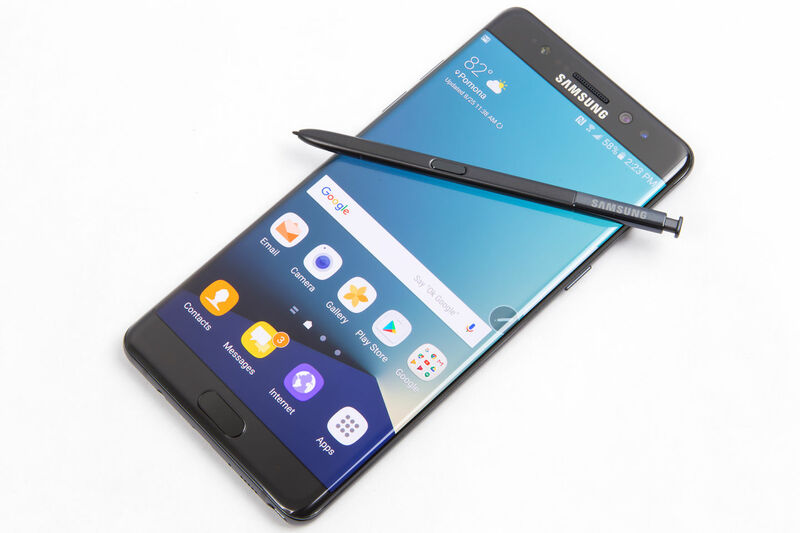 There will be no more Note 7s ever made…which is sad, because by all reports this is a great, great smartphone. Except for the bursting into flames thing. I’ll make sure that Sean P. writes a eulogy proper, but for the time being; if you are in the market for a new smartphone, it won’t be this one.